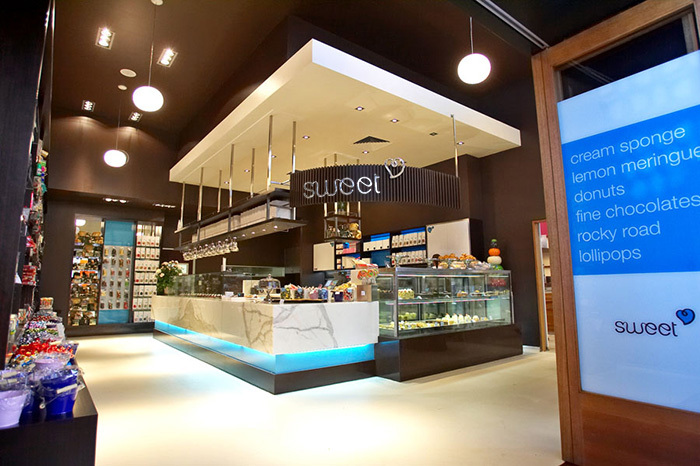 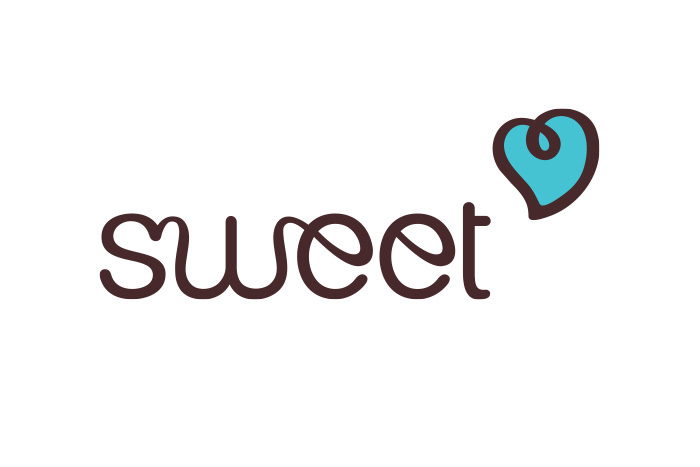 Sweet is a traditional, hand-made chocolate and confectionery shop at Ferry Rd Market on the Gold Coast. 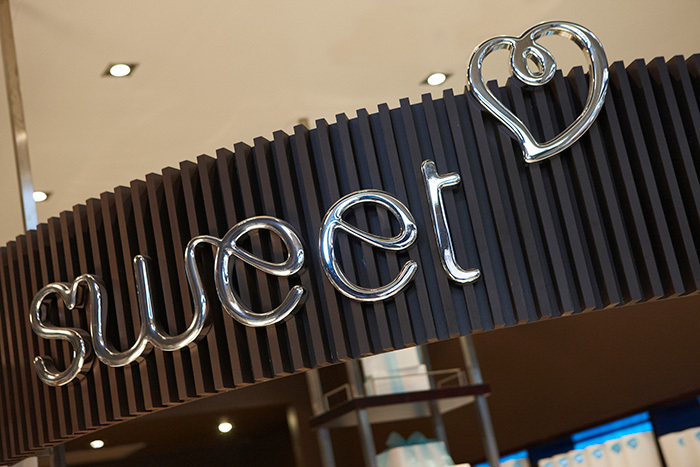 The custom typeface oozes silky, melted chocolate and is paired with a heart symbol to represent the love in giving and receiving fine chocolates. 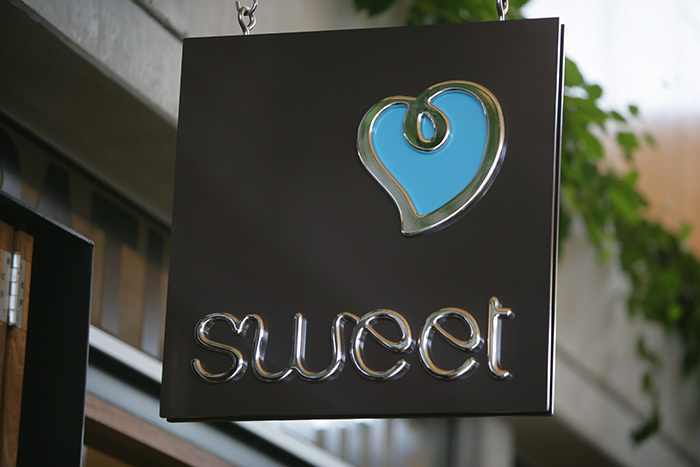 The main shop sign was cut out of acrylic with a curved router bit, spray-painted with a faux-chrome finish and formed around curved timber battens inspired by a chocolate tray. 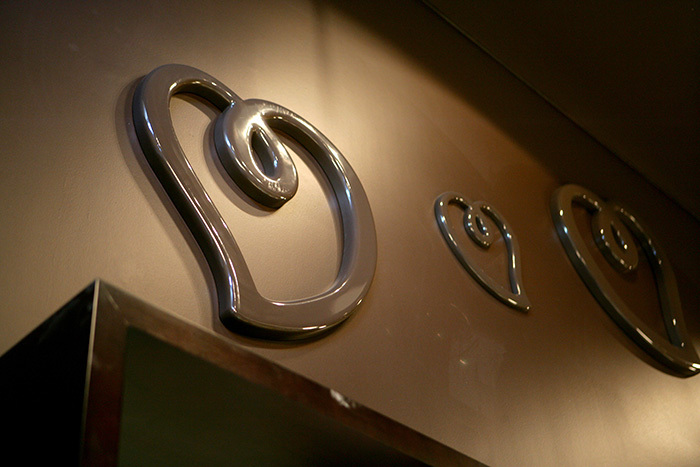 Big, glossy hearts adorn the walls; made of MDF, finished with paint and 2-pac. 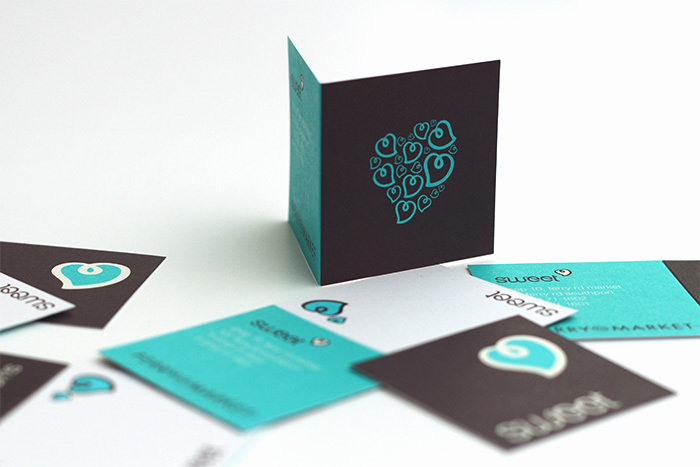 Economy was achieved with the printing by using only two colours and fitting multiple square business cards, price tickets and gift cards onto one sheet.